I began my journeys in Italy as a tourist, but a tourist of a different sort. Rather than trying to check off every major city (Rome, Milan, Venice…), the celebrated landmarks (the Colluseum, the Ponte Vecchio, Piazza San Marco…) and all the culinary highlights (Roman Carbonara, Neopolitan pizza, Ligurian pesto, Amalfi coast seafood…) my goal instead was to embrace and absorb the uniqueness this country had to offer from a regional perspective. Yes, I eventually wanted to have all those bucket-list Italian experiences, but more important to me was finding the places, the people and the moments that were truer to what I considered to be “real” Italy. I wanted to personally encounter Italy from the point of view of the people who lived there every day. First I acquainted myself with its canvas. Rural Italy is as varied as all of the rest of Europe combined. It is a country where majestic ice-capped mountains descend into romantic, rolling vine-clad hills with sprawling marshes only a few miles away in the lower altitudes and swaths of wheat and corn fields lacing their way through the flatter parts of the country. It is a place where steep dramatic cliffs and soft sandy beaches dominate the Adriatic coastline, while on the opposite side of the country the Mediterranean coast is lined with some of the most inviting and stunningly beautiful resorts in the world. The urban parts of Italy hold completely different treasures. Its charming villages, seaside towns and bustling cities are filled with a multitude of museums, cathedrals, town centers, picturesque piazzas, monuments and artistic treasures that make each region unique and worthy of a visit. And I intended to see them all. Most tourists pay for pre-arranged tours or invest in piles of guidebooks. They then consume those experiences as fast as they can in order to quickly move on to the next one so they can maximize their time spent abroad. I’ve been guilty of that travel philosophy before, and while you do get to cross a lot of things off your list, what you miss is the opportunity to really engage in the culture of wherever it is you are visiting. When it came to Italy though…I got lucky. My guide was a real live Italian, Paolo Volpara, my friend and business partner, who was steeped in the culture and traditions of most of Italy’s twenty diverse regions. Consequently, my role as tourist quickly morphed into that of full-fledged student. Italy became my thesis project. I immersed myself in all aspects of Italian regional exploration, essential I believed to the authenticity I wanted to bring to my Italian café and market. It was an intellectual pursuit not matched since my university days spent with lectures, classes, reading assignments and copious note-taking dominating my waking hours. 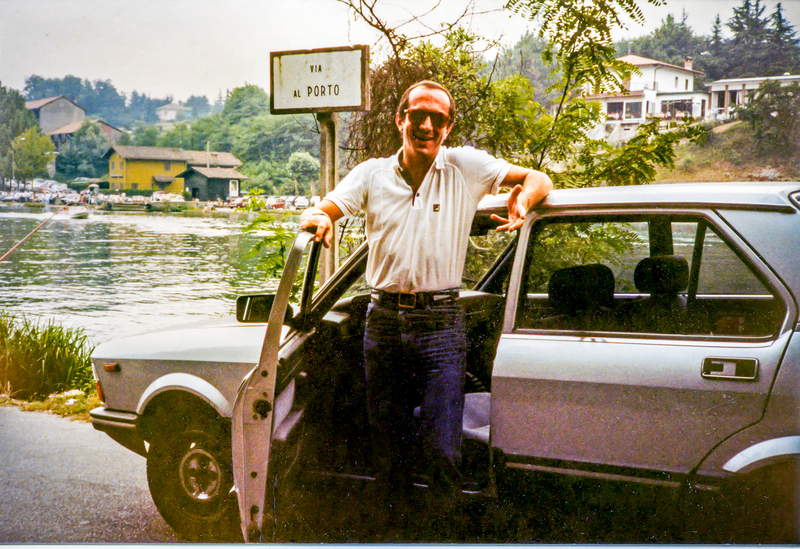 However, this was a syllabus that was much more fun: international travel, road trips in vintage Italian sports cars, time spent with Italian people of all stripes and the best food and wine Italy had to offer. I had always loved my time in school, but it was hard to beat this real world seminar on all things Italian. Primary instructors in that pursuit were my two partners Paolo Volpara and his mother Wanda Bottino. Wanda assumed the role of culinary mentor. Not only was she an excellent cook, but also she was extremely knowledgeable about the culinary history of each region. 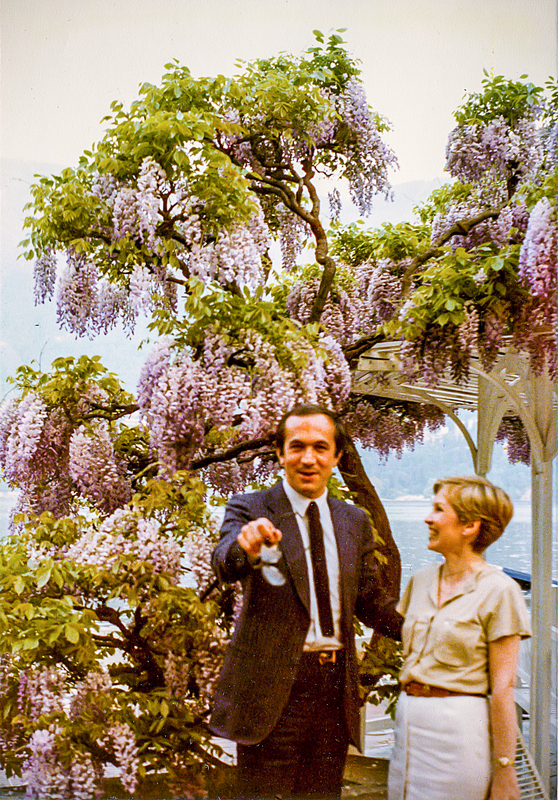 Her military husband and engineer father took her to many parts of Italy where she had the good fortune to experience firsthand the great diversity of her country’s cuisine. Her tiny Milanese kitchen was our classroom where we cooked, chatted and ate our way through iconic meals of each region, sometimes cooking up to fifteen dishes during one session. It was the most comprehensive and totally unique (not to mention delicious) curriculum of any class I have ever taken. On the days we weren’t cooking, we visited food and wine markets. Product display was especially interesting to me and Italy’s international reputation for originality and excellence in architecture, interior design, and fashion made even the smallest shop or the most mundane product the canvas for some of the most inspiring packaging and displays I had ever seen. Most impressive was the sophisticated minimalism that I found so frequently. I was always amazed at how nothing but a paper-thin white tissue, half-wrapped around a panini or a few sprigs of rosemary strategically placed on a platter of glistening pork sausages could by their very simplicity, elevate those products to works of arts. Cooking and shopping with Wanda was a hoot. She spoke minimal English and my Berlitz Italian was of the “il cane sotto il tavolo” (the dog is under the table) variety. But somehow we got along famously and despite the language barrier seemed to understand one another perfectly. Not only was she a fabulous cook and teacher, but her sense of humor and fearlessness brought me to places and people that I otherwise would not have gone. She arranged meetings with many local culinary bigwigs – Pasticceria Biffi (the famous panettone makers) and Peck (Milan’s temple of Gastronomical delights) among them. When our meetings were conducted in English, all was fine since most of the gentlemen we met with spoke better English than my Italian. But when on occasion we met with someone who did not speak English, the meetings became quite comical mainly because Wanda decided she would translate what our host was saying. Since she didn’t speak English but decided momentarily that she did, the dialogue became quite mystifying (not to mention hysterical), confusing everyone in the room. Those are the times I remember most fondly. 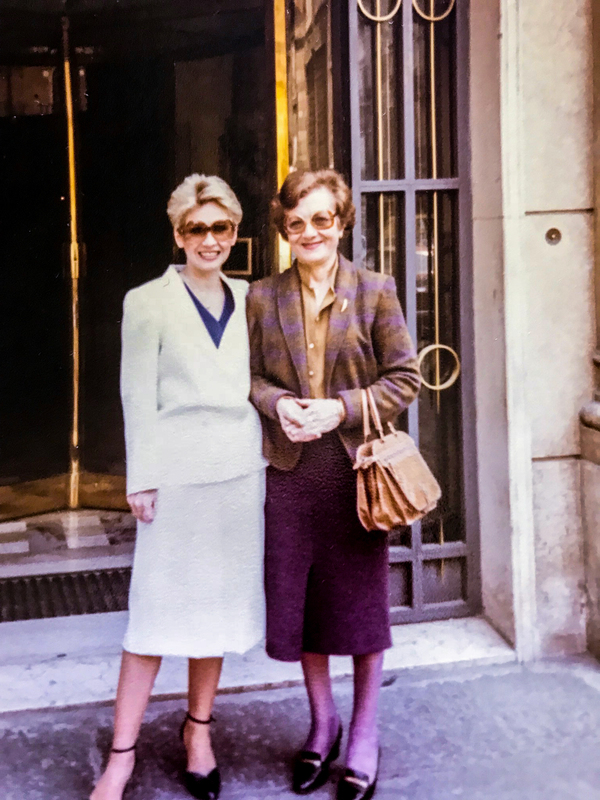 She had such a big heart and was determined that one way or another I was going to learn as much of culinary Italy as possible under her tutelage. And I did. My other instructor, Paolo, was quite different. His classroom was conducted in whatever village, city or country road we happened upon in our travels. His subject matter ranged from impossibly detailed background on Italian history to my favorite subject, the myths, legends and (supposed) origins of the food we were eating and the wine we were drinking. Far-fetched as many seemed, they always added flavor, intrigue and a good laugh to our journey – and confirmed the fact that Italians really are the very best storytellers. Paolo in particular! He loved to embellish as well as tease me, so it was incumbent upon me to sort out the facts from the embellishments. I was not always successful, but that is part of what makes my Italian history uniquely mine and I choose to keep it that way! Some regions like Calabria and Puglia I traveled to only once, so those stays were usually very intense, the line between student and tourist intertwined as we crammed in as many sights and ate at as many regional restaurants as possible in whatever time we had allotted to those visits in order to experience the variety a region had to offer in one trip. I’ve always believed there is something to embrace about travelling outside of your comfort zone: unfamiliarity stimulates the brain. And each new region did just that. But new sights and sounds in abundance can be exhausting, so Lombardia – and its capital Milan – became my comfort zone. 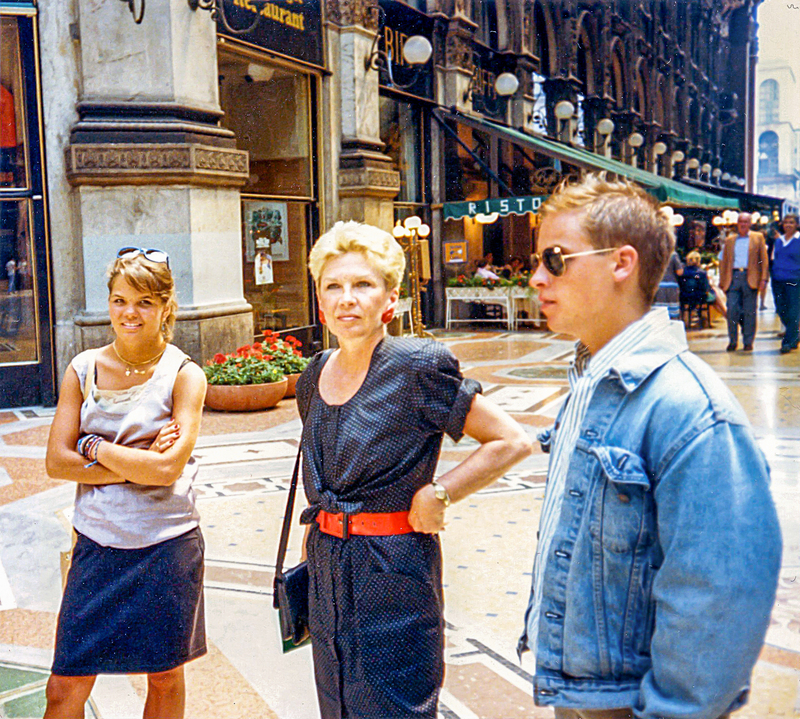 Milan was the resident city of my two partners so I traveled there as many as five or six times a year in the early eighties. 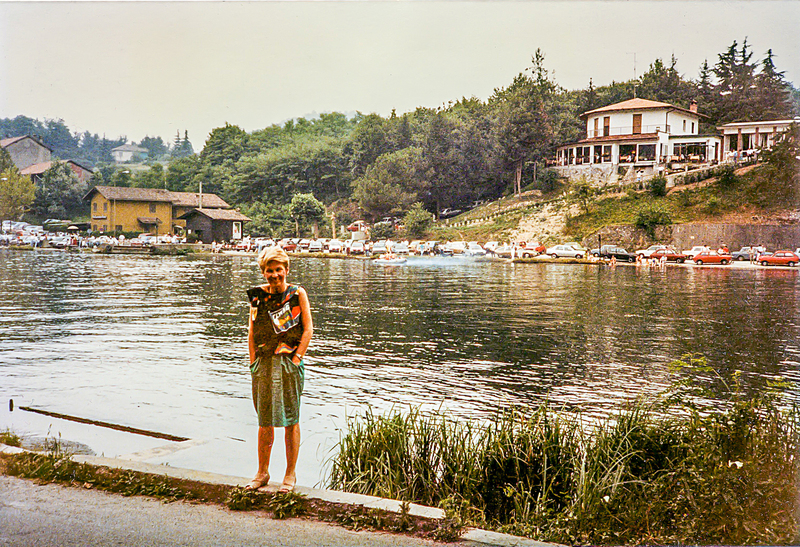 Because Paolo and I were always going from or coming back to Milan on our regional journeys, I got to know Lombardia quite well by driving through its countryside and many of its little towns as we traveled to other parts of this great country. Milan became my second home, a place to relax in-between visits to new regions. I got to know its nooks and crannies, its many layers. I did not always need a pencil and paper in hand to jot down the details of whatever new food, sight or tradition I had just learned. It felt good to just kick back and enjoy the experience – a new role for me in my Italian journeys. Other levels of discovery are frequently made once a place feels like home. Eventually Milan’s most popular districts became as familiar to me as my Chicago neighborhood, so I began to expand my horizons and wander through lesser-known quarters. It was during these boundless meanderings that I tripped upon many of the little shops, cafes and trattorias that helped me know that Milan was becoming my own personal city. Sant’ Ambrogio with its charming old houses was a favorite area of exploration. Many examples of Art Nouveau, the late nineteenth and early twentieth century movement so much a part of Milan’s history and a favorite period of mine, were laced throughout the narrow winding streets of this district. Coming across an ornate stained glass door or a wrought iron gate with flowing designs of animals and birds was always a thrill and felt like my own personal discovery. Meru, a little gem of a jewelry store, was another find. I had never seen such interesting and unique jewelry – especially their signature necklaces and earrings created from the remolding of antique pieces. And what can I say about the small Fornasetti shop I came across one day on my way to Paolo’s office? It became a favorite haunt. Piero Fornasetti, the Italian painter, sculptor and interior decorator is considered one of the wittiest and most imaginative design artists of the 20thcentury. 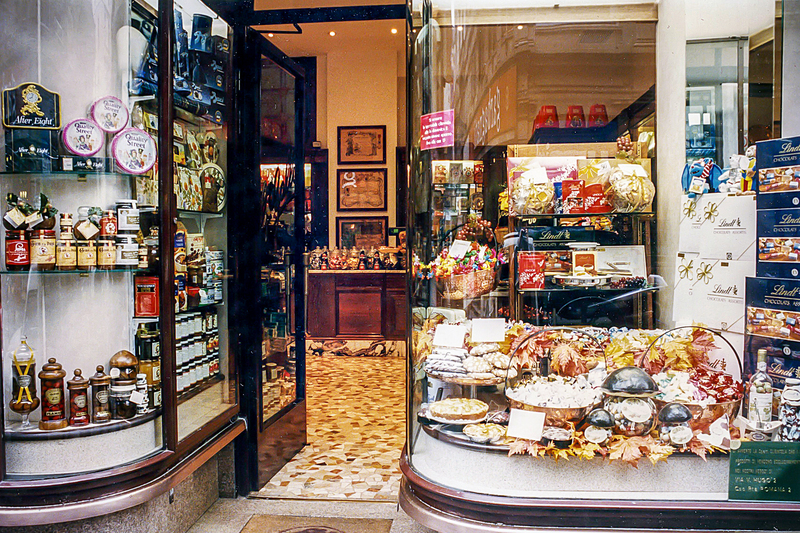 At the time I discovered this little shop (which is now much larger) he was still alive and living in Milan. I loved all of his whimsical home décor – but especially his trays and tableware. 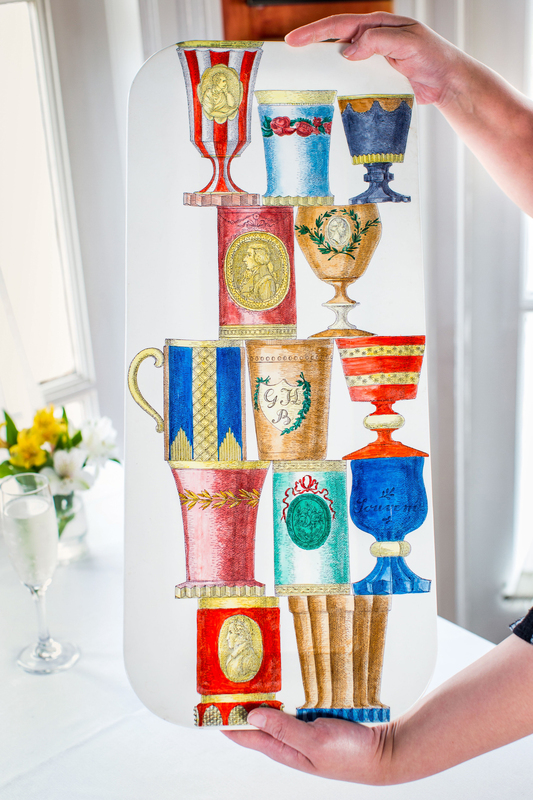 Fornasetti died in 1988 but his influence and sense of play endures to this day. His pieces can be found in many department stores and shops around the world, as well as in my own collection. I also made other kinds of discoveries during these solitary strolls. Often they were little out-of-the-way trattorias or cafes where I could just sit by myself and enjoy a delicious panini or a bowl of pasta and a few moments of reflection. Alone is when I do my best thinking, or steeping as I referred to it in an earlier blog. I clearly remember one particular lunch when I brainstormed (with myself) about an appetizer I wanted to serve at an upcoming event. The American Institute of Wine and Food had asked Convito to participate in the opening night of their upcoming Chicago conference. The event was to take place at the Four Seasons hotel. Each participating restaurant was to provide a signature appetizer for 400 people; displayed and served at their own station. I had three requirements in mind for Convito’s contribution. For both ease of transporting and serving I wanted them to be room temperature and already assembled. 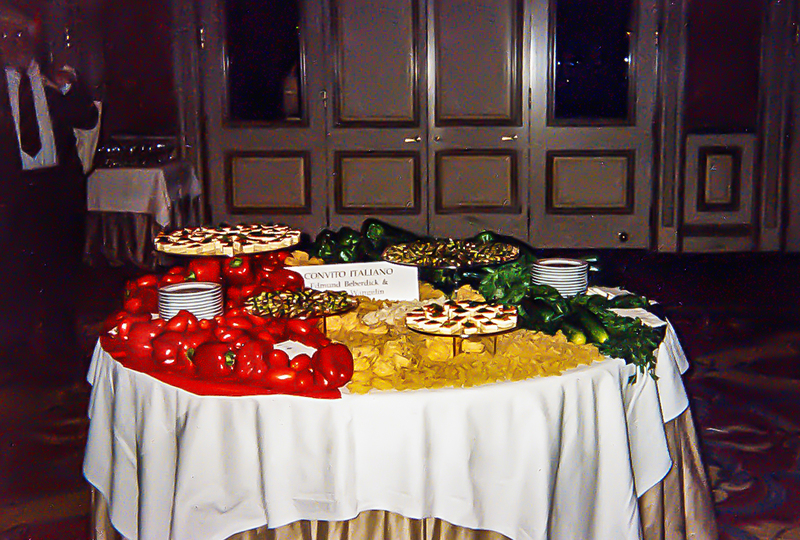 The third requirement was that the appetizer must clearly represent Italy as an Italian would recognize it. 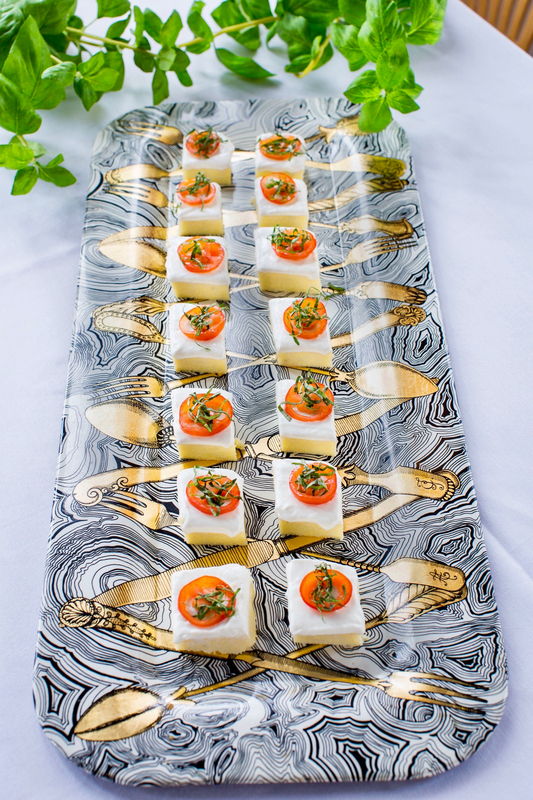 I didn’t want to serve the usual bruschetta or mini pizzas that I had previously provided for other events and that – though delicious – were more of an American take on traditional Italian fare. Instead I wanted something new – maybe a reinterpretation of Italian ingredients. So after considerable thought I came up with an idea of a room-temperature polenta appetizer. Convito’s savory little squares that were made with polenta, cheese, tomato and basil were the result of that “brainstorming” lunch. They remain on our catering menu to this day. Bring the milk, water, butter, salt & pepper to a boil in a heavy bottomed stockpot. When boiling, slowly add the polenta whisking constantly until it is thick and begins to boil. Innominato (in Italian it means ‘Without a Name’) was a restaurant I came to know well. Close to Paolo’s agency in the Brera district, it had become a hangout for company employees; for a business lunch, a relaxing after-work aperitivo or a cozy dinner with friends or fellow employees. It didn’t aspire to be the quintessential Lombardian restaurant nor was it was aiming for a Michelin star or seeking an award for its wine list. Rather Innominato was a low-key, casual kind of place – a place where the wait staff was friendly and welcoming, where the food was good typical Italian fare (at times leaning toward the trendy) and where the ambiance was designed to make guests feel comfortable no matter the reason for their dining; a romantic dinner, a quiet business meeting or some kind of celebration. I loved going there. Not as a tourist. Not as a student. But to simply enjoy the experience as a true Italian might. I usually ordered pasta. But occasionally I would order one of their many versions of carpaccio. Although not a new dish by Italian standards (it was invented in the 1950’s by Giuseppe Cipriani from Harry’s Bar in Venice) it is a dish now considered a part of the Italian culinary vernacular. I like the original which is served with a simple drizzle of Dijon mustard sauce, but the one I love the most was Innominato’s version: hand-sliced beef drizzled with extra virgin olive oil then sprinkled with shaved Parmesan and arugula. Carpaccio Scottato is another dish I enjoyed at this restaurant – especially as a second course on a warm summer night. It is thin slices of raw beef seared in the oven ever so slightly. Only the edges are browned. 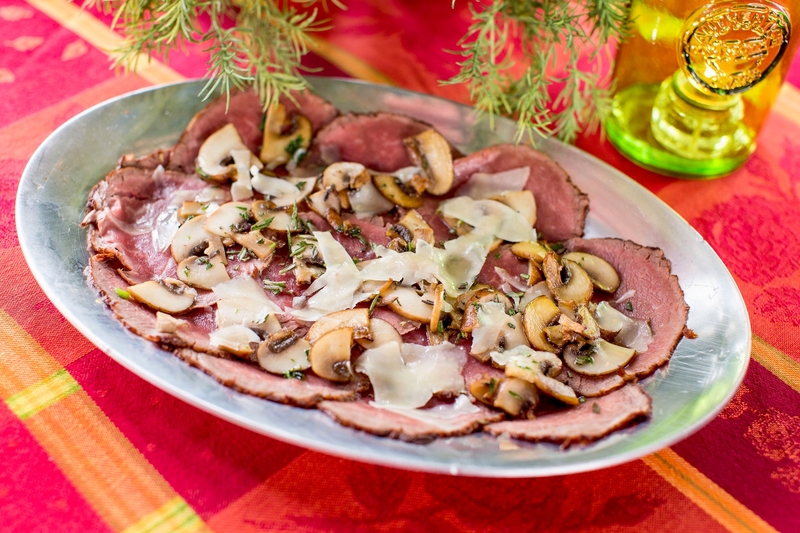 Below is a version with sautéed mushrooms, a little rosemary and shaved parmesan. Wrap the tenderloin with plastic wrap and place in the freezer for 2 hours. Then heat a little olive oil in a heavy skillet over high heat. Remove the beef from the freezer and rub all side with salt and pepper. Add the beef to the skillet and sear on all sides. Beef should just be barely seared so inside remains rare. Freeze the v=beef until it is almost frozen (about 1 hour). Remove from the freezer and slice the beef as thinly as possible with a sharp carving knife. Sauté the mushroom briefly in olive oil. Set aside. Regional Lombardia offers as much diversity as its capital. Starting with Valtellina’s snow capped mountains and lush green valleys in the north, down through the sparkling wine producing district of Franciacorta, all the way to the Po Valley with its meandering rivers and fertile plains, this region has am embarrassment of riches. To top all that, some of the world’s most astoundingly beautiful lakes – Como, Garda, Maggiore and Iseo – lie within partially or completely its borders. Being from the Midwest I am used to long distances of sameness so it was always astounding that each of these distinctive areas were all a part of the same region. Many of the little Lombardia towns I visited were stops made just because the occasion arose, with no grand plan or pre-set itinerary. One time we decided to make a last minute trip to Vigevano, a town not far from Milan, just because we wanted to flee the heat of the city and enjoy a morning coffee in someplace less crowded. Sitting for hours in its Renaissance portico-lined Piazza Ducale I was certainly aware of the beauty of my surroundings but once again I was not there as a tourist or as a student, I was there to read the Herald Tribune and sip my coffee and just enjoy the experience. On another occasion – a wintery one – we returned to this historic city for nothing more than a warming aperitivo before driving back to Milan for dinner. At night the town was transformed. Lit by a soft glow from the lampposts surrounding the piazza, it was the perfect setting for the classic aperitivo, Compari and Soda, a cocktail invented by Gaspare Campari whose Milanese Caffe Campari is often given credit for creating the world’s first cocktail. Another occasion for a journey outside of Milan was the last minute decision Paolo made to attend the wedding of a daughter of one of his clients. It was held in Cervesina in the Province of Pavia on the lower Ticino River about 50 miles south of Milan. Unlike the much more formal ceremonies I was used to, this was the most relaxed wedding I have ever attended. Guests casually ambled into the rustic little chapel – many just several seconds before the bride came down the aisle. There was much chatting and coming and going throughout the ceremony. Photographers seemed to outnumber the guests. Lights flashed constantly. One photographer leaning down to get a better view, abruptly stood up and cracked his head on the protruding niche that contained the statue of Jesus – a slapstick moment that made me stifle a chuckle for fear of offending the assembled family and friends. In America during a serious wedding ceremony laughter would almost certainly have been frowned on. But here however, a great roar ran through the congregation including guffaws from the bride and groom who seemed to take much delight in the humor of the moment and made the whole ritual feel kind, familiar and genuinely celebratory. It was such a happy wedding. It was what I have always assumed was a typical Italian wedding experience though I’m not sure if it was. Either way, I do know that I will fondly remember it forever. We stayed briefly for the reception buffet after the ceremony. Although we ate very little because of a previously planned dinner engagement, one item I liked in particular was a risotto cake. Wanda had made a version in her kitchen during one of our Lombardia cooking sessions. It’s a great buffet item because it holds so well. Risotto is a typical dish of the region and we were smack dab in the middle of risotto territory. Over time growing rice spread to every corner of Italy but it never took on the prominence it does in this region, especially in the area around the Po where the wedding took place. Today we make risotto cakes for our market. They are great all on their own or served as a side with a veal chop or a piece of chicken. Also risotto cakes are a good way to use leftover risotto (though who ever has leftover risotto!). 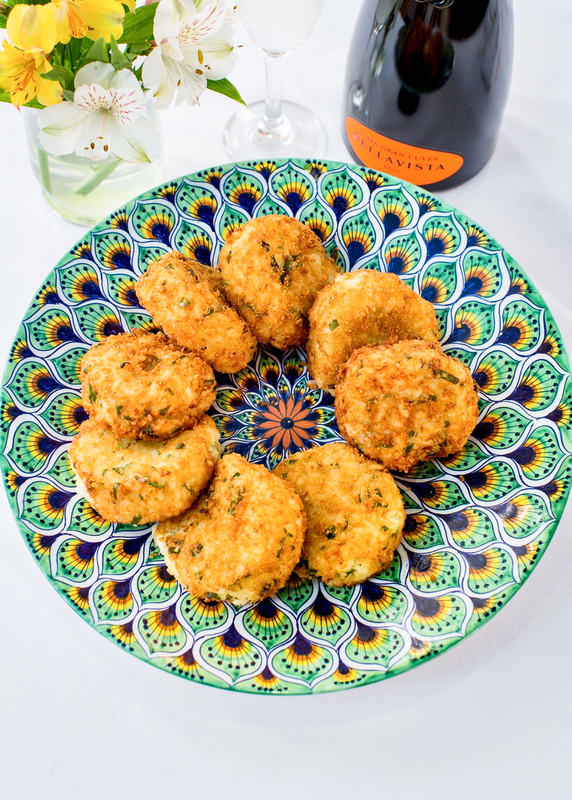 Mix the risotto cake ingredients together and shape into balls using ½ cup of the mixed rice. Flatten into patties. Heat the canola oil over medium high heat. Sauté 6 of the cakes sautéing for approximately 2 minutes per side then carefully turning them to cook another 2 minutes. Remove and drain on paper toweling. Cook the next batch of six. Put all on a baking sheet and bake in a 325-degree oven for 5 to 7 minutes. Because the area around the Po – the Oltrepo Pavese (literally meaning “behind the Po”) was in such close proximity to Milan, we returned many times over the years, sometimes just to check out some new trattoria Paolo had heard about in some little town or village he wanted me to see. Known as the Tuscany of the north, the Oltrepo Pavese offers a wide variety of reasons for coming; medieval villages, beautiful panoramic views, out of the way castles and delicious local wines. “This is one of Italy’s best kept secrets,” said Paolo. He was right. I was surprised to learn that this particular district produces more wine than any other Lombardia area including Valtellina and Franciacorta. Often neglected by wine enthusiast tourists in favor of the more familiar regions of Piemonte and Tuscany, Lombardian vineyards offer many things – incredible panoramic views but also peace, quiet and tranquility especially when compared to those other more popular wine destinations. “Authentic” was Paolo’s word for it and I fully agree. We continued to visit towns and villages around Milan simply because we had the time and the inclination. Our explorations were frequently a result of simply passing through a new place upon returning to Milan after a visit to another region. Lecco, a city on the southeastern shore of Lake Como, was one of those stops. We were on our way back to Milan from our weekend visit to the northern district of Valtellina. Our stomachs told us it was dinnertime. We chose a restaurant with an outside terrace and sat at a table overlooking the lake just as the sun tucked itself into a torn pocket in the sky. Old tile-lined roofs framed the walls of the garden around a terrace glistening in the setting sun. That night I was reminded that one of my favorite colors is terracotta, (the color of Convito’s logo) especially in the evening when the sun begins to slide into the west and the sky turns a dusty, powdery blue. The contrast of those two colors still takes me back to that time and place; a very good – but unremarkable – restaurant in a town I only visited once, but will never forget. A certain Sunday sadness always accompanies me at the end of a productive and activity-filled weekend and this particular one was no exception. But of all things, on this day a dog lightened my mood. People who know me well would probably all say that I am decidedly not a “dog person” but this particular beast was incredible. He was a large dog with straight white (tending toward blond) hair, a large head and kind, somewhat soulful deep brown eyes. I learned from his master who was also the owner of the restaurant, that the breed – Great Pyrenees – was considered a livestock guardian dog. His demeanor, said the restaurant owner, was very gentle and affectionate. He certainly didn’t tend livestock this particular night (then again maybe he did!) but his gentle nature was on full display as he went from table to table – just like a great host should – making sure his guests were happy. He was definitely the star of the restaurant. After petting our host who seemed to appreciate every pat, I perused the menu and decided upon a Veal Milanese, a Milanese specialty of breaded and sautéed veal scaloppini. This dish, however, was a reinterpretation of that classic. 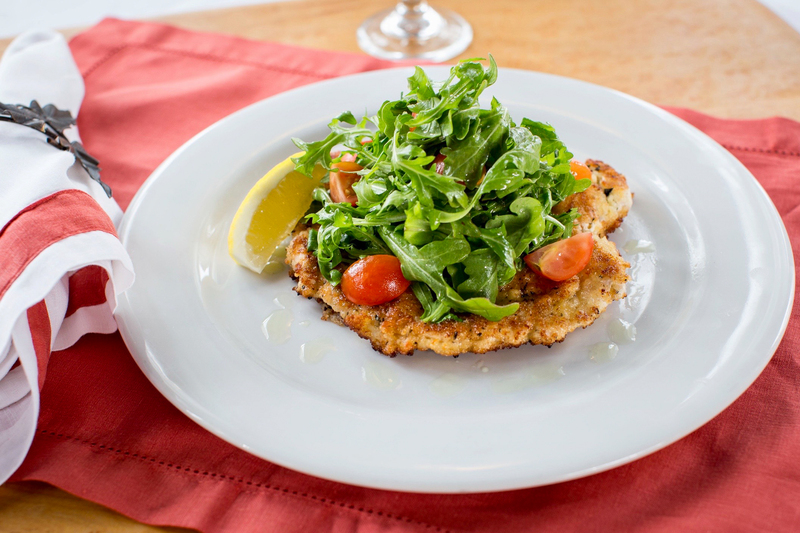 The breaded veal scaloppini was topped with a glistening salad of arugula dressed in lemon and olive oil. It transformed a somewhat wintery dish into light summer fare. It would not be the last time I saw this item on a menu. Frequently using breaded chicken instead of veal, it has become a very popular item featured on tratorria and bistro menus throughout America and has become a staple on Convito’s summer menu. Combine flour, salt & pepper in a wide shallow bowl. Beat eggs in another wide bowl. In a third bowl combine the breadcrumbs and the cheese. Coat the chicken on both sides with the flour mixture then dip both sides into the eggs then into the breadcrumb cheese mixture pressing the crumbs into the chicken to adhere. Heat 1 tablespoon of butter with 1-tablespoon olive oil in a large sauté pan over medium heat. Sauté two to three of the chicken breasts 2 to 3 minutes on each side until cooked through. Add more butter and olive oil and sauté the other 3 chicken breasts. (Add more butter and olive oil if needed) Chicken breasts should be golden brown. Transfer chicken to a baking dish and cover with foil. As we drove back to Milan after the storm had passed I thought about all the wonderful things I had seen and been a part of in this strong and beautiful region. I felt that I was beginning to get a true sense of Lombardia. It was a serious region with serious work to do. Its capital, a global center for finance and fashion, the whole region known for its strong agricultural and industrial presence as well as the amazing diversity and beauty of its landscape made it, in my mind, one of the most incredible regions in all of Italy. However, as much as I had discovered on my journeys to all four corners of Lombarida, I realized that this region still had much to reveal: little towns I had yet to visit, countryside I had not driven through, wines I had not tasted and monuments and museums worthy of hours and days of observation. At first this seemed daunting to me. After so many journeys and so many nights on the road how could I have barely scratched the surface of what I thought was my Italian home turf? How could I ever truly know this country if there was an impossibly long list of things to visit and explore? But quickly I realized this was instead a gift. Because I didn’t want any of this to end. Yes, Italy was becoming a place where I felt very comfortable. But it was also still a stranger, one who held innumerable secrets and treasures for someone like me who was willing to invest the time and effort to discover them. So I would once again make myself a little uncomfortable by rushing headlong into another unfamiliar setting. With great pleasure, I would again resurrect my role as student researching and reading about whatever little village or museum was on my agenda. 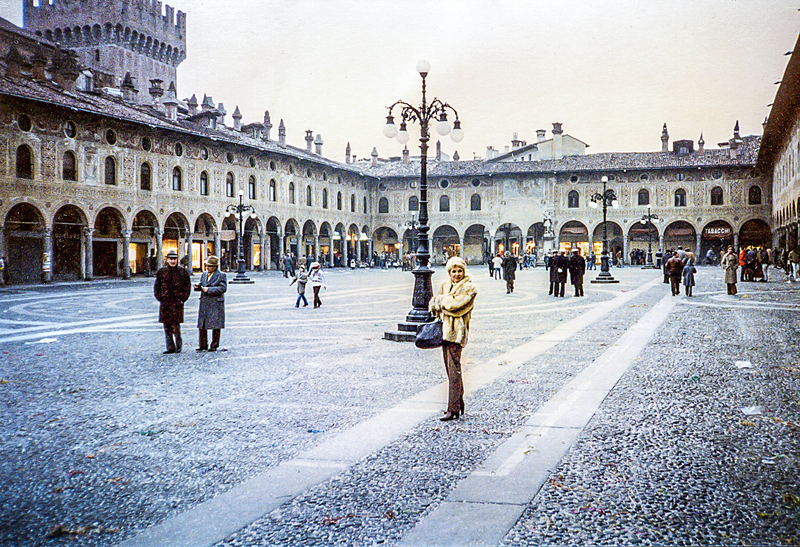 But the best thing about coming back to Lombardia was that I could have it all, the tourist role, the student role and the relaxed, kick-back-my-heels role where I was simply hanging around familiar haunts, visiting old friends, and returning to places and people that had been an integral part of my regional exploration. In other words, I would be coming home. Nancy, I can’t tell you how much I enjoy your posts. You are an exceptional writer. Every time I read one of your posts I feel like I am there with you. The pictures inspire me to visit Italy and indulge in all the great food and wine. I also love learning about the history of the country. On a trip to Chicago a couple of years ago I stopped at your restaurant to meet you and Candace. My good friend Katherine had told me so much about you I felt I knew you. You did not disappoint! Keep writing you have such a gift. I have forwarded your post to all my friends and associates.